Weekly U. S. radiation reports by Bob Nichols on the Veterans Today website have repeatedly been showing Colorado Springs, Colorado as one of the most contaminated places in the nation. He said the local count exceeded 1,000 counts for 151 hours that week, which amounted to almost 90 percent of the week. For the rest of the week, the “Rad Unit” in Colorado Springs was “out of service” without any reason given. In case you are wondering, Nichols said normal radiation levels are usually at five to 20 counts per minute. A count is one radioactive decay registered by the instrument used in recording the radiation in the air. The radiation monitors report on the presence of Cesium 137 and Cesium 134. Nichols said that only Beta and Gamma radiation levels are reported by the EPA and consequently on his website. There are 1,944 more known Rad elements involved in radiation poisoning. “The only thing they have in common is that they all kill you,” he wrote. So where is the radiation coming from at Colorado Springs? According to the U.S. Nuclear Regulatory Commission’s website, no operating nuclear reactors or licensed fuel cycle facilities are located in Colorado. There is some type of research and test reactor operated by the U.S. Geological Survey in Denver, however. The first nuclear powered electric generating plant in the nation was constructed at Fort St. Vrain, Colorado, and began generating in 1976. But there were so many problems the facility was decommissioned and all of its nuclear fuel moved off site by 1992. The plant was rebuilt as a gas-fired generation system and it is still operating. Thus the Fort St. Vrain plant does not appear to be the culprit. There is, however, one other possibility. It is the Cheyenne Mountain military complex, described as a “military installation and nuclear bunker, the home of North American Aerospace Defense Command (NORAD) and the United States Northern Command USNORTHCOM). Also Peterson Air Force Base is located at Colorado Springs. 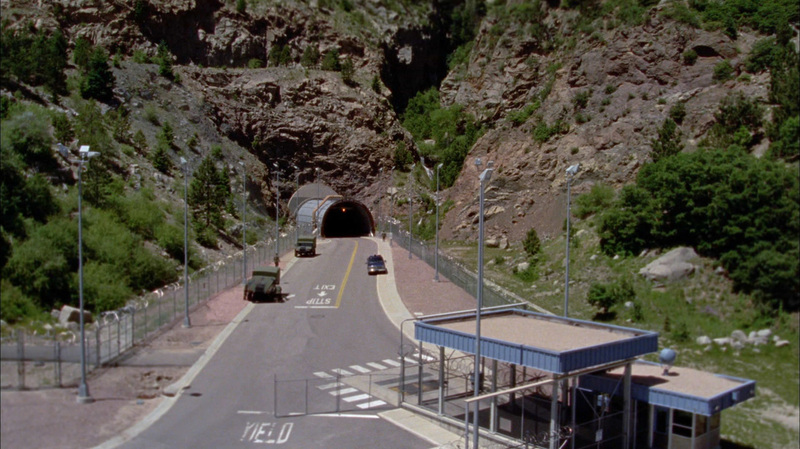 The Cheyenne Mountain complex was buried deep inside Cheyenne Mountain, located at the edge of the city, during the Cold War in the early 1960’s. There are various conflicting reports about whether the complex has been shut down or remains in operation. Some say most of the equipment at the complex was moved to Peterson Air Base. But the complex appears to still be operating. Information about Cheyenne Mountain remains difficult to acquire. It is known that the site was carefully designed to guard against nuclear destruction from the outside, but the possibility of an operating nuclear reactor within the complex is unclear. “Stargate Command’s vital base self-destruct is also on Sub-Level 28. SGC protocol requires a countdown to be set on the base self-destruct, triggering a nuclear blast inside Cheyenne Mountain if breach of the Stargate appears imminent. Thus it seems evident that some kind of nuclear bomb exists somewhere in the complex. This is an old bomb, probably put in place when the giant mountain complex, with its many underground bunkers was constructed over 50 years ago. Could it now be rusted and leaking?